of the girl child aged below However, Government has given a buffer time of 1 year if your child turned 10 within a year before the announcement. 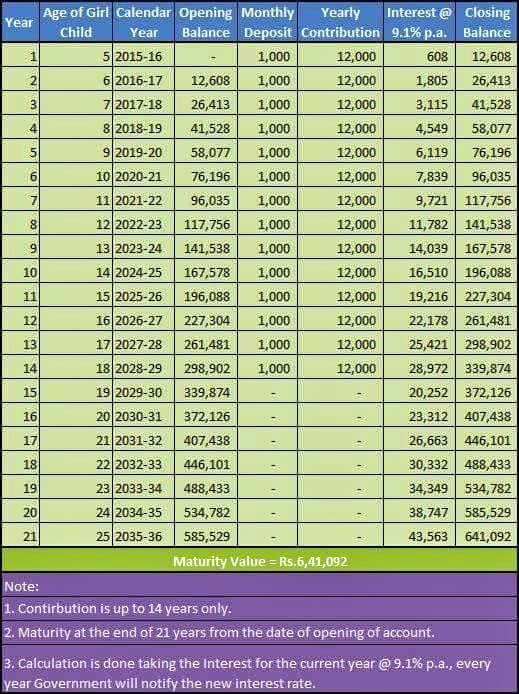 This means that if the girl child turned 10 anytime between December 2013 and December 2014, you can open such an account scheme can be opened either in public sector bank or post office. 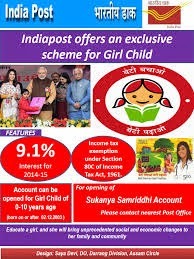 Account under Sukanya Samriddhi can be opened and operated either by the minor girl child who has attained the age of or by guardian se rules after furnishing birth certificate of the girl child along with other documents relating to identity and residence proof of the depositor. However, as part of the initial offer one year of grace period is being given. Any girl between 2 December 2003 and 1 December 2004 up to till 1 December 2015. Guardian of the girl child will be allowed to open and operate of maximum of two girl children except in the case where depositor either blessed with three girl children in first birth or twin in the second birth. The deposit shall be made by , cheque or demand draft. The minimum deposit of Rs.1,000 is to be made each year else a penalty of Rs.50 shall be levied. Thank you so much sir for giving complete information to us. I have one question related to deposit scheme. How many deposits I can made in one year ??? Hi Sir, I would like to know that how many deposits I can made in one year under Sukanya Samriddhi Account?? ?